Come out to The Sound Table this Sunday night as Highlanda.net and The Honorary Citizen aim to satisfy with some big surprises. Female selector Tach from Empress Movements just mashed up #RocksteadyATL and she will be in the area for #RubADub as well alongside Highlanda Sound and DJ Passport. 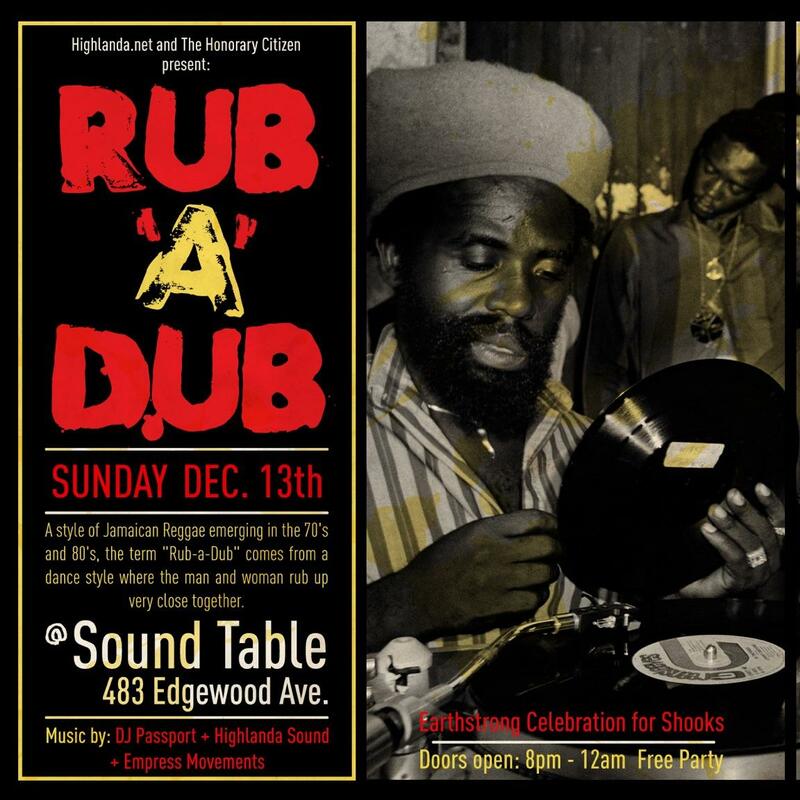 “Rub-A-Dub” or “Rub-A-Dub Style” is described as one the genres doing the passage between Reggae and Dancehall. This is Reggae, mainly from the late 1970’s and early 1980’s, where DJ’s chanted and Singers sung over various tracks that were mixed in a dub style. Today, Rub-A-Dub files under Roots Reggae. Music by DJ Passport + Highlanda Sound + Empress Movements. Doors open: 8pm to 12am. Make it a date and don’t be late. No Cover.